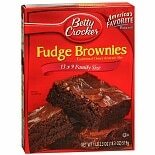 Shop Betty Crocker Traditional Chewy Fudge Brownie Family Size Mix (18.3 oz. )18.3 oz. Shop Betty Crocker Super Moist Cake Mix (15.25 oz. )15.25 oz. 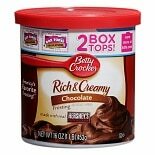 Shop Betty Crocker Rich & Creamy Chocolate Frosting (16 oz. )16 oz. 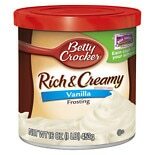 Shop Betty Crocker Creamy Deluxe Frosting Vanilla (16 oz. )16 oz. 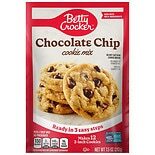 Shop Betty Crocker Cookie Mix Chocolate Chip (7.5 oz. )7.5 oz. Shop Betty Crocker Super Moist Cake Mix Devil's Food (15.25 oz. )15.25 oz. Shop Betty Crocker Mashed Potato Pouch Creamy Butter (4.7 oz. )4.7 oz. 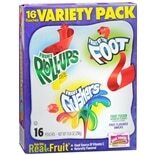 Shop Betty Crocker Fruit Flavored Snacks 16 Pack Assorted (10.6 oz. )10.6 oz.